One of the round ups at Co-op registers happening this fall supports CECOSESOLA, a cooperative network in Venezuela deeply tied to members of the Olympia Food Co-op. Through the CoSound Network, a committee of the Olympia Food Co-op Board of Directors, we have organized two exchanges between CECOSESOLA workers in Barquisimeto, Venezuela and the Olympia Food Co-op staff, Evergreen (State College) students and faculty, and members of other co-ops and organizations in the Olympia area. Through these exchanges, cooperative members from both groups have forged strong bonds with each other, invested in continuing our relationship through small acts of solidarity, mutual aid, and connectivity. The economic crisis in Venezuela has grown along with our relationship in the past few years, since the death of former President Hugo Chavez shortly after the first exchange in 2012. Members of CoSound know, through talking with our compañer@s at CECOSESOLA regularly, that many are struggling to meet their family’s basic needs and continue their work running the cooperatives. Our options for offering support are limited by the increasingly difficult nature of traveling between countries and the economic crisis, and we are not sure when we can hold another exchange. 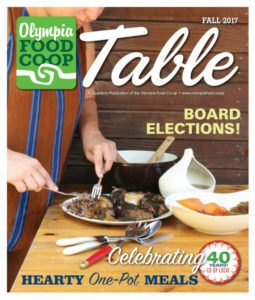 In the meantime, we will have an opportunity for the Olympia Food Co-op members to support our compañer@s in Venezuela by rounding up at the register from August to January. We chose the round up program specifically because many of the expansion projects within CECOSESOLA have been funded by donation jars at their registers – thus honoring the creative and effective fundraising strategies CECOSESOLA uses to grow its incredible cooperative infrastructure. We know that every part of our mission statement, from democratic control to promoting accessibility of food and healthcare, is being carried out by CECOSESOLA under one of the most restrictive economic contexts in the world today. By rounding up at the register, funds go directly to CECOSESOLA to continue this shared vision. Let your cashier know that you’d like to round up! On May 21, 2015, two young black men, Andre Thompson and Bryson Chaplin, who are brothers, were chased and shot by an Olympia police officer who suspected them of stealing beer from an Olympia Safeway store. The officer was not injured nor charged with any wrongdoing. The gunshot victims sustained physical, emotional, psychological, and financial harms that are likely to have lasting effects on the remainder of their young lives. The police officer stated that he “feared for his life,” and a law enforcement review board determined that his actions adhered to Olympia police department policies. The officer’s fear and law enforcement policies and practices have been developed and cultivated over centuries, in ways that perpetuate injustices and inequalities that harm black and brown people and effectively promote white supremacy. These social systems continue to bloom as if from the seed of a deadly sickness, planted when the first black lives were kidnapped and forced to labor on these shores. The white officer’s fear, like many white folks’ fear, continues to be cultivated, encouraged, and normalized. White people continue to benefit from these systems as black and brown people struggle, suffer, and are victimized by the police. As implicit bias in policing makes headlines, our mostly white Co-op has an opportunity to examine our own biases, to work toward growing our awareness of what goes on in our own hearts and minds unconsciously and automatically. Part of the framework of oppression – what keeps it strong – is that it makes itself invisible to those of us who benefit from it. We must consciously and deliberately examine our own fears, preconceptions, and positions through a lens that focuses on seeing the unearned advantages and privilege that are at play, while considering the flip side of that privilege and what effect that has on those who live their lives as targets of oppression. HOW DOES THIS ISSUE RELATE TO THE CO-OP’S MISSION STATEMENT AND GOALS? The Co-op’s mission directs us to “encourage economic and social justice,” and one of our goals is to “support efforts to foster a socially and economically egalitarian society.” We follow these directives because we recognize that the lives of our members, and the cooperative itself, exist in a larger context – a world in which there is injustice and inequality. Demographic trends in the areas of education, income, family wealth, home ownership, health care, and employment, among others, continue to slide favorably for white people and against black people. And these are only measurable effects. People who experience those disadvantages also face disproportionate physical, emotional, and psychic hardship as a result of the same systems from which white people benefit. At the Co-op, the round up option offers a way for our members to help mitigate the financial toll that this ordeal has taken on this one black family in our community. The Co-op is collecting funds for this family to help pay for their legal process (both men were put on trial for assaulting an officer), medical expenses (both men were hospitalized, and Bryson is paralyzed from this event), and other expenses. The Black Lives Matter movement calls particular attention to the fact that in our world, black lives are systematically and intentionally targeted for demise. Black lives have not been treated as if they matter. The Black Lives Matter movement is not an organization that provides a service, but instead it aims to rebuild black liberation through grassroots organizing. While we support the work of the BLM movement, we also recognize the gunshot victims’ critical need for financial assistance even two years after the fateful night of their shooting. 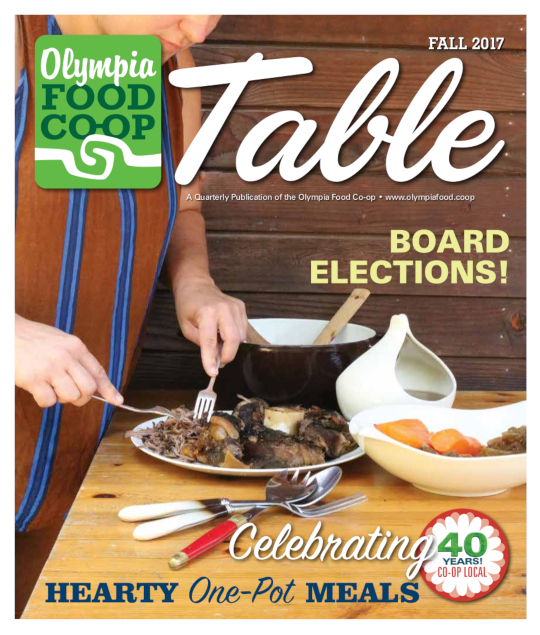 Co-op members share an incredible variety of riches and benefits, ranging from access to healthy foods to the option to participate in the governance of the organization. As we enjoy these benefits, we’re offering members an opportunity to help respond to the inequities faced by one family in our community in contending with the systemic bias carried out by law enforcement against black people throughout the country. The Co-op’s round up option provides a method for you to take a small direct action to repair the harms and injustices endured by those two young black men. Funds will be disbursed directly to them.